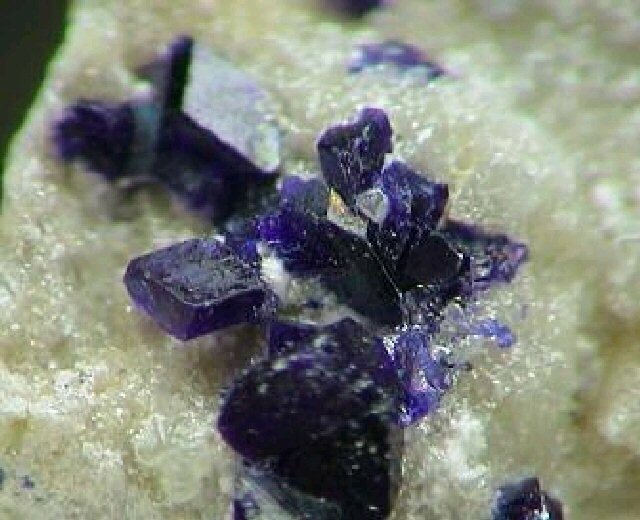 Comments: Blue crystals of henmilite in matrix. Location: Fuka Mine, Bitchu-Cho, Okayama Prefecture, Chugoku Region, Honshu Island, Japan. Scale: Crystal size 3 mm.